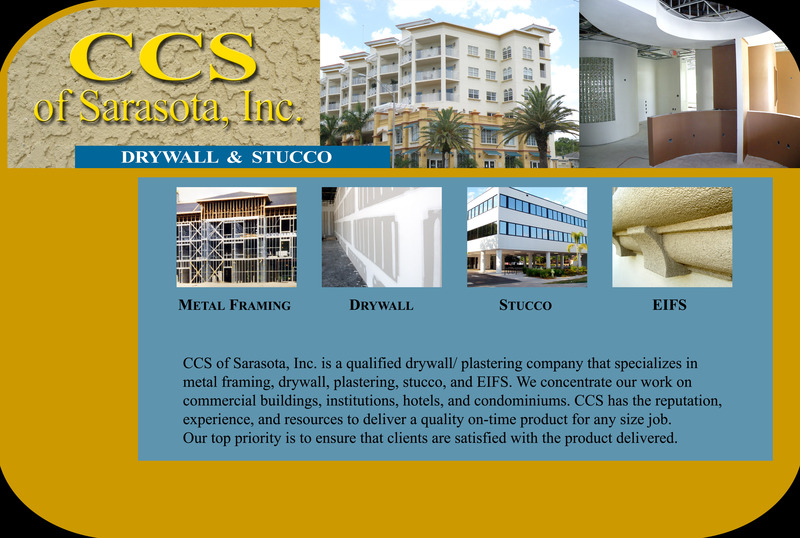 CCS of Sarasota, Inc. is a state certified drywall/ plastering company that specializes in interior and exterior metal framing, drywall, insulation, ACT ceilings, stucco, and EIFS. We specialize in commercial building, retail, medical, hotels, and condominiums. CCS has the reputation, experience, and resources to deliver a quality on-time product for any size job. Our top priority is to ensure that clients are satisfied with the product delivered.